Condos can be a great living option for Boomers, but they aren't for everyone. Are you thinking about downsizing and finding a smaller home? Condo living is a great option for a more carefree lifestyle, but it is not for everyone. Every condo community has a flavor of its own. Finding a community that suits you is as important as the condo’s location and style when searching for a permanent or seasonal home. Weighing the good and bad will help you make an informed decision before making a life-changing purchase. 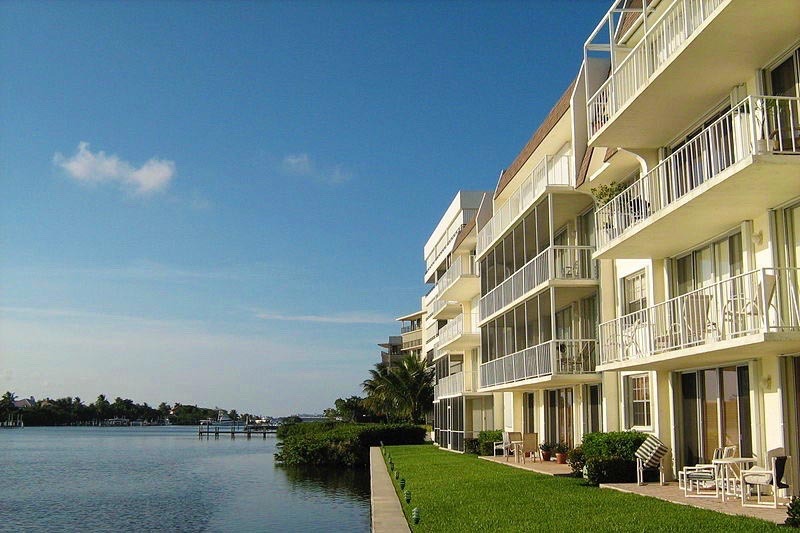 Condos offer low- to no-maintenance living that will give you more time for leisurely pursuits. Professional lawn crews and maintenance personnel in condo communities perform maintenance on the outside of your building, most common areas, and the property's grounds. Annual or monthly maintenance fees are charged for this convenience but, for many, it's well worth the expense. Homeowners in condo communities also love the amenities that have become standard. Swimming pools, tennis courts, exercise rooms, and golf courses offer homeowners many choices for activities and a chance to interact with your neighbors. Condo communities also offer a level of security commonly found in high-end communities and many of them have gated access and 24-hour security. Condominiums come in all shapes in sizes and range in price from several thousand dollars into the millions for waterfront or mountain top condominiums. Like their price range, the style and features of condo living range from simple one-bedroom units to larger units that have the square footage of an average single-family home. Features of some units include gourmet kitchens, raised ceilings, and other luxurious appointments and, for those on a budget, smaller more affordable condos offer many of the same amenities as more exclusive communities. There is less privacy in a condo than there is in a single-family home and if you are bothered by the sound of your neighbors, this will take getting used to. Most condos share one wall with the next unit and some share walls, floors, and ceilings. Condo rules can be confining for some homebuyers. Before signing a contract to purchase make sure you understand the rules and are willing to live by them. If you find the rules to be too constrictive, condo living may not be your best option as a place to retire. Depending on how the condo community is managed, special assessments for costs of maintenance can be charged to you without notice. Again, before purchasing a condominium be sure you know what you are paying for now and may be required to pay in the future. Is this the lifestyle for you? Only you can answer that question and knowing what to look for will help you make a decision about condo living and whether or not it's for you.